It is named for the nests built by swallows that return each year, offering a tender performance of the new born swallows attempting first flight. 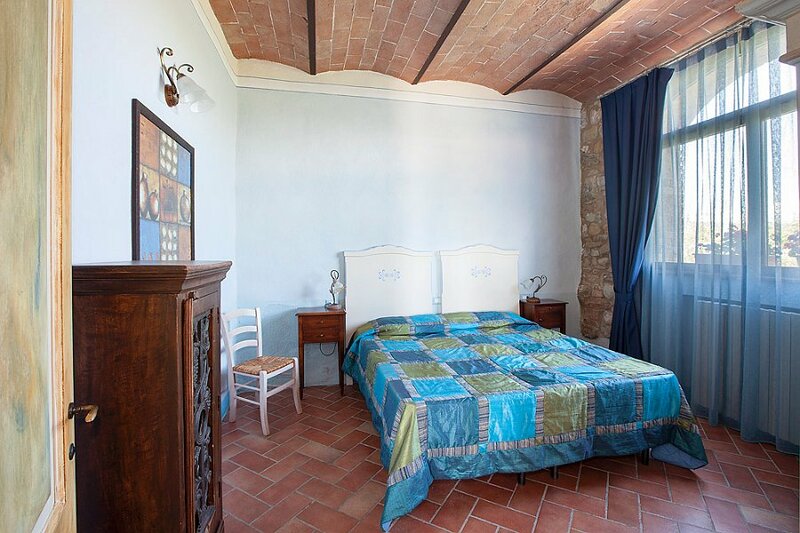 The apartment of 44 square meters is equipped for the disabled, it is the ground floor and overlooks the old farmyard, surrounded by the flower and herb garden. From a small covered porch, you enter the kitchen-living room, equipped with a fireplace and a sofa bed, placed in a comfortable space, separated from the kitchen with a curtain of sitting room and, where appropriate, comfortable beds. 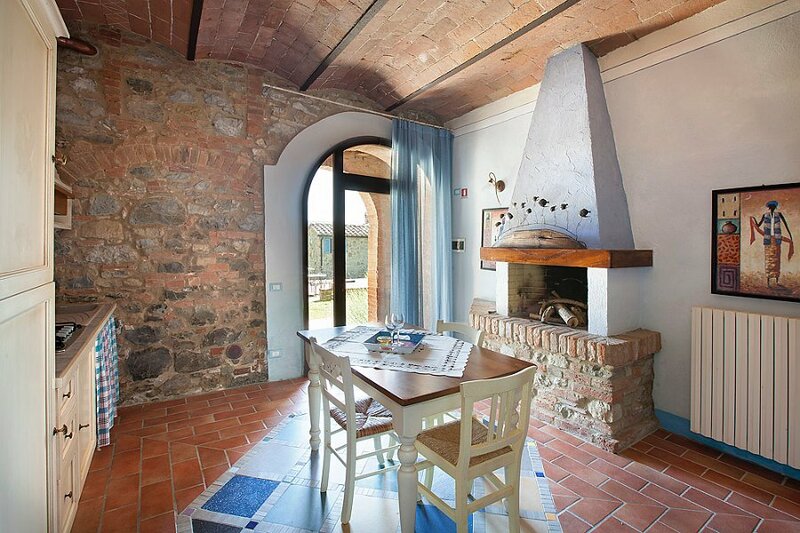 The kitchen floor is decorated with colorful mosaics made from recycled materials. 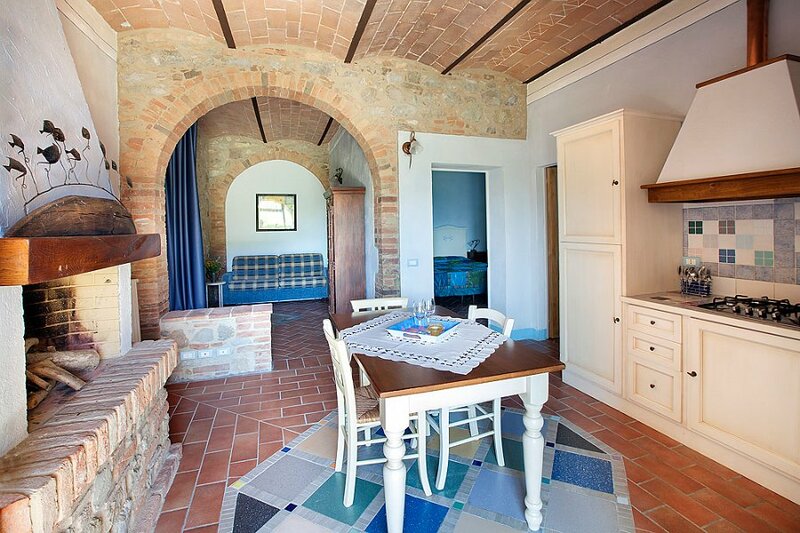 The “volticciole” ceilings are made of original historic bricks, also known as “filler”, as was customary for the premises for the stables here, in fact, for 50 years lived a horse named Giolitti, who, whenever he could, ran away from the stable to stroll among the houses of the village. 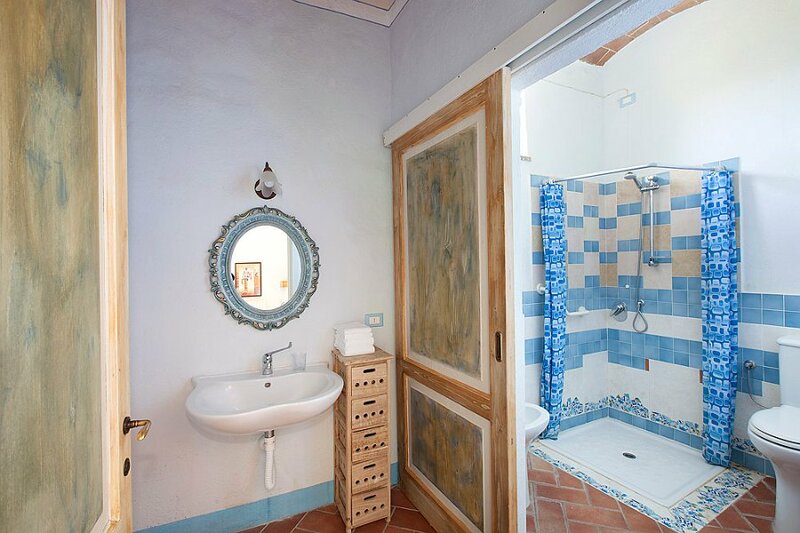 In the apartment there is a bright double room and a large bathroom. It offers a private outdoor space with a table and chairs.